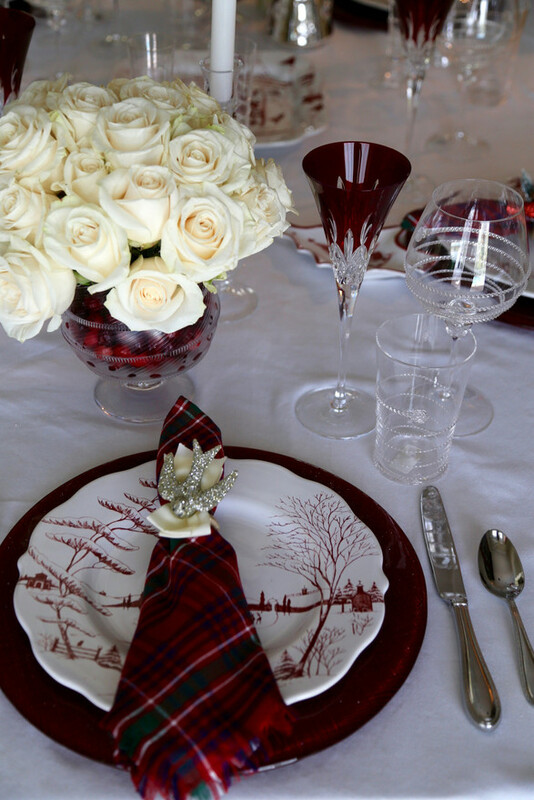 To create this look I started each place setting with these gorgeous sparkle red Villeroy & Both Chargers. 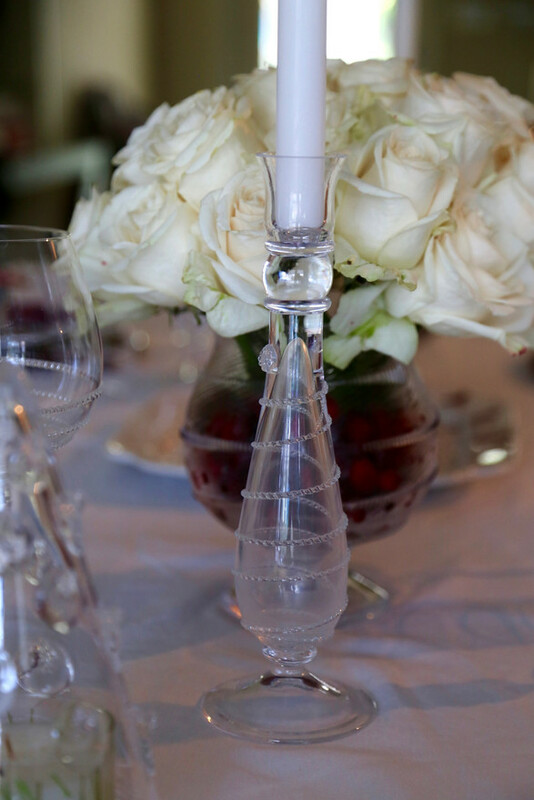 I fell in love with these chargers because they set the tone for the evening & made the entire table pop. 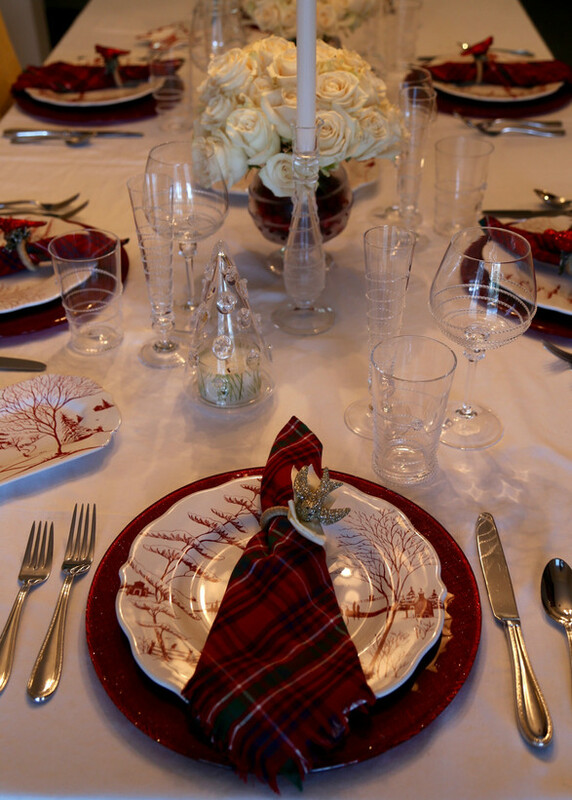 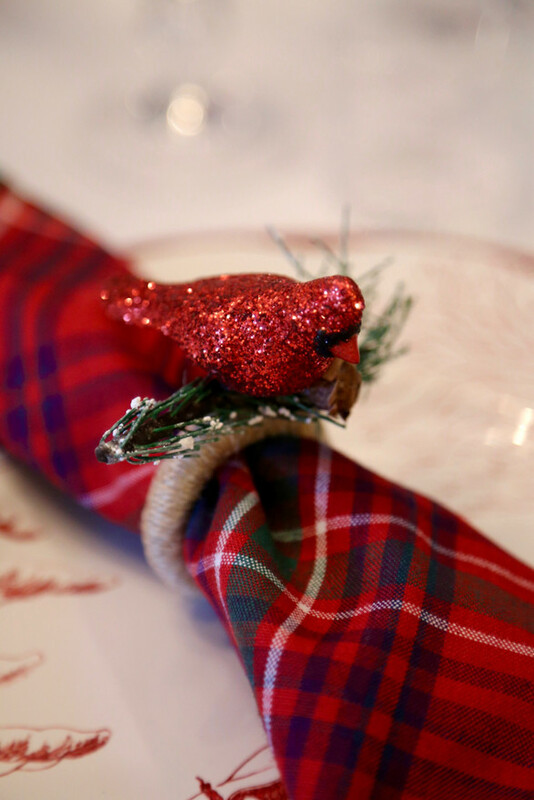 For the dinnerware I wanted each place setting to tell a story as Christmas is all about the traditions of it. 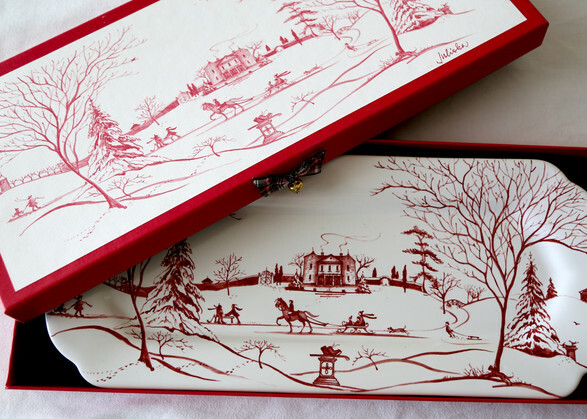 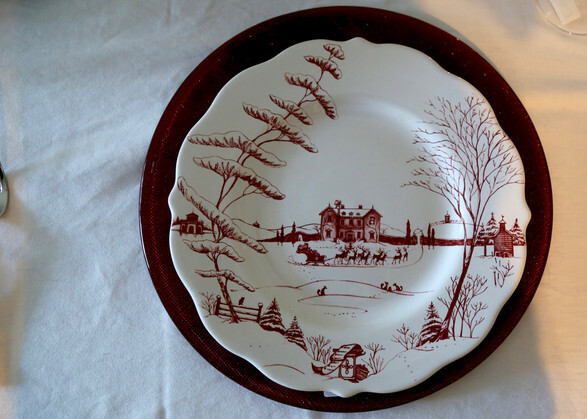 Juliska Winter Country Estate – Ruby, was the perfect dinnerware for this evening. 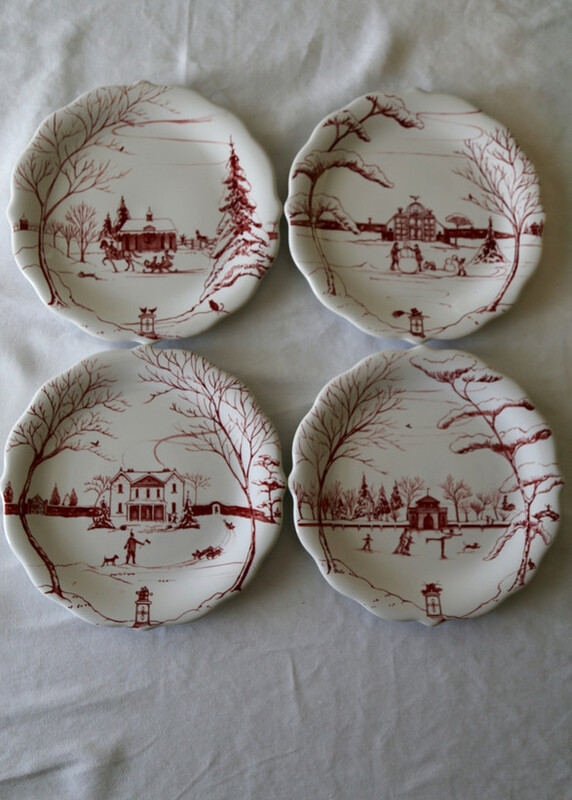 A traditional look with a simple white background & beautiful detailed picture on each plate, telling some sort of story. 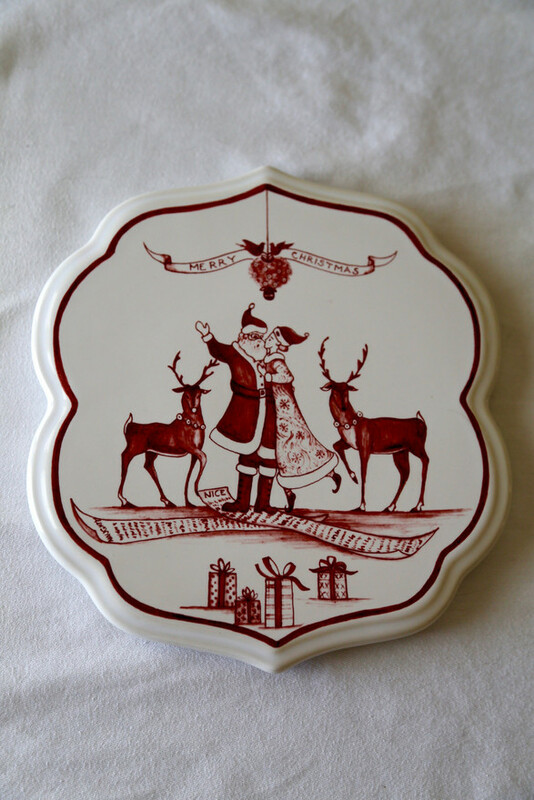 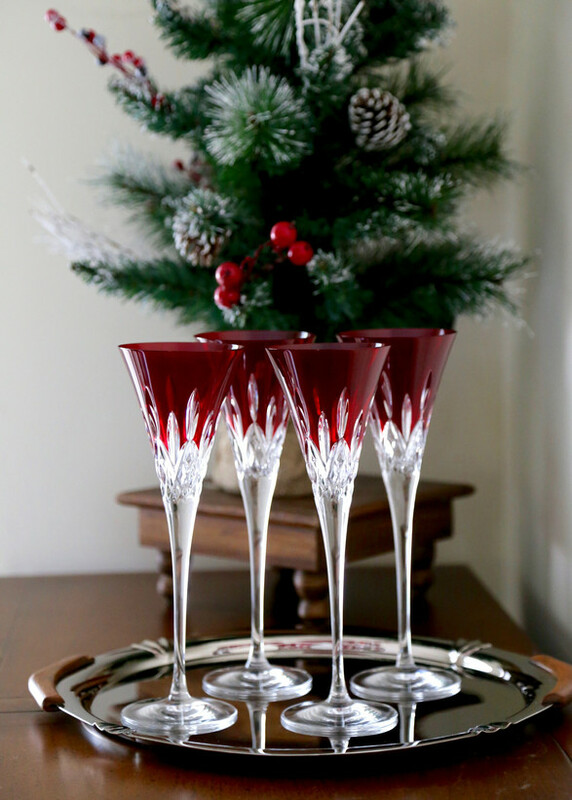 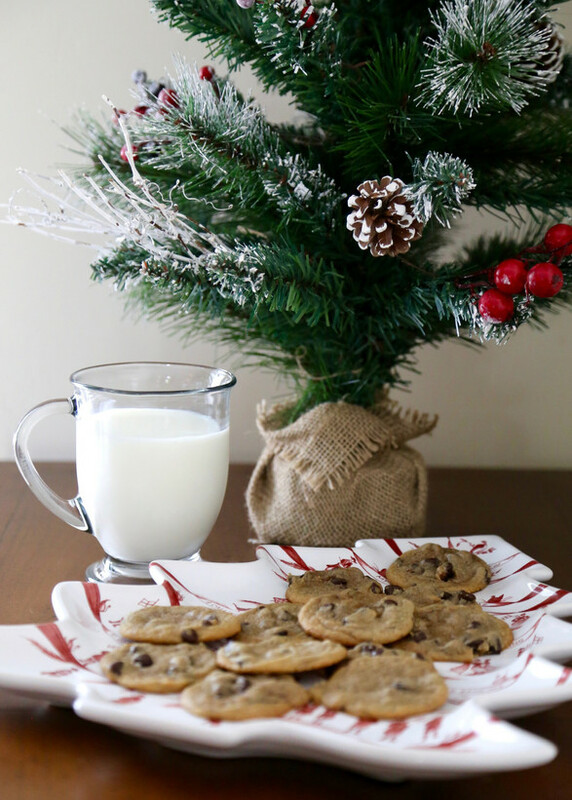 Click here for Christmas Juliska Dinnerware ( as shown). 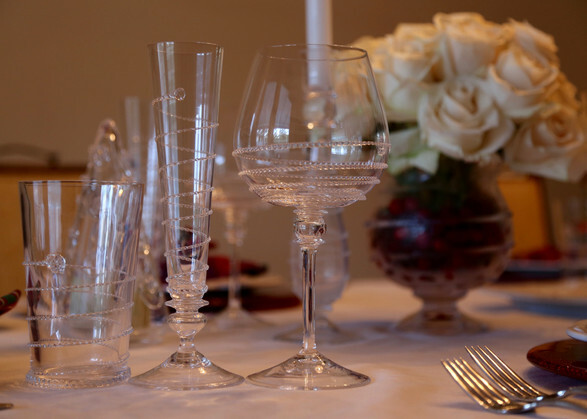 ​The stemware was a HUGE accessory to this tablescape that may be my favorite from the whole year! 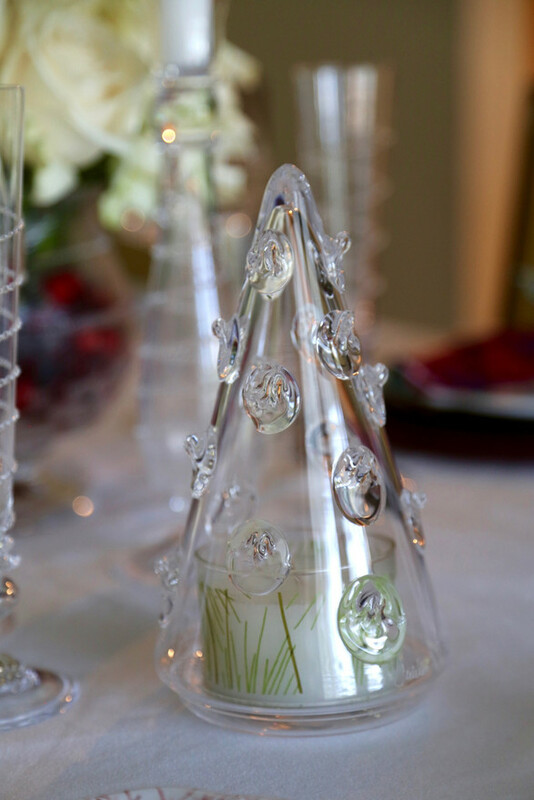 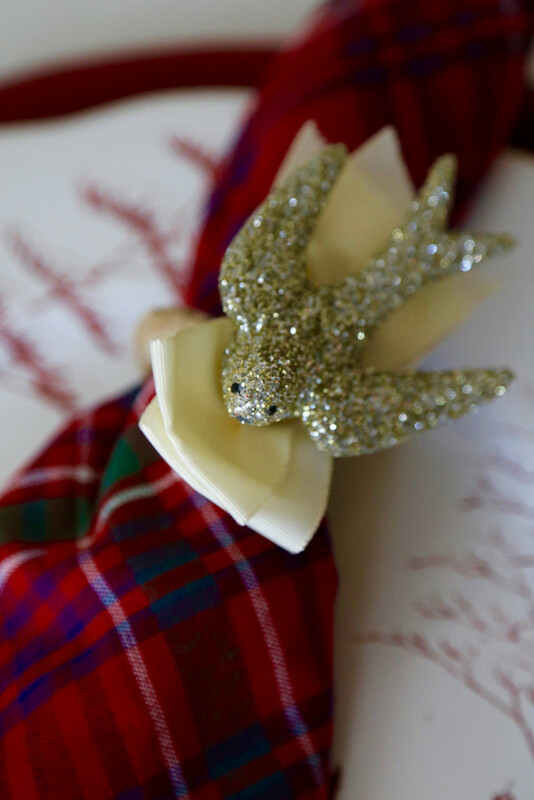 Timeless, classic and it looks beautiful with EVERY tablescape year round. 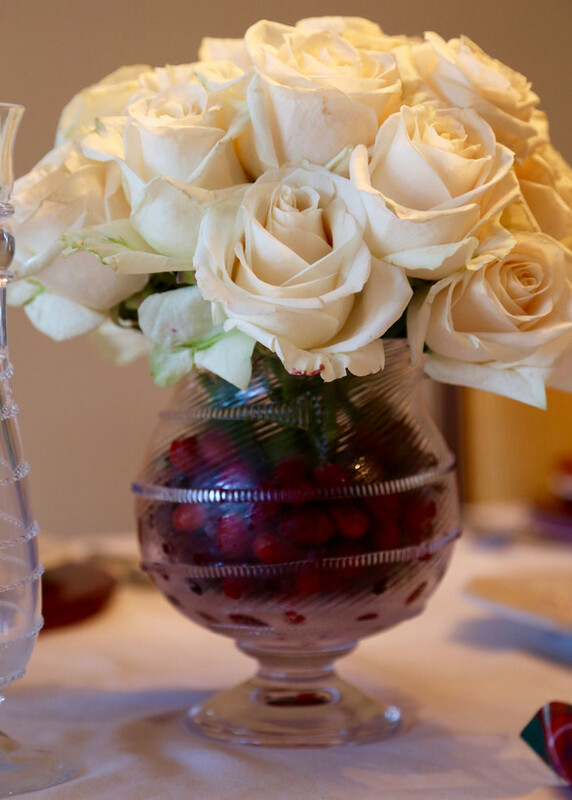 The flowers are simple Vendela Cream Roses in a Juliska Small Amalia Hurricane. 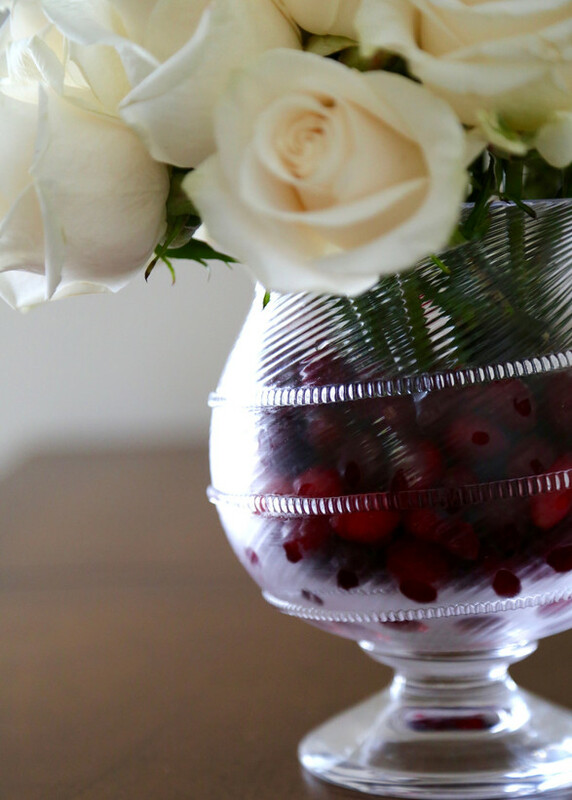 I accessorized them with cranberries in the vase, also helping to pop the red from the rest of the table.